Who would I like to have over for dinner? Well, Vincent Price, of course. Besides terrorizing my younger years with such movies as House on Haunted Hill and The Raven, he also was a noted art collector and gourmand. My grandmother passed down to me A Treasury of Great Recipes by Mary and Vincent Price (1965), which makes for wonderful reading with recipes culled from the great restaurants of the world. In fact, at Eating Vincent Price these good people bring to life the heart and soul of this book by preparing its exquisite courses, and of course, pairing with wine from the Vincent Price Family Legacy. With that said, let’s turn to the final hours of Demian’s birthday meal. 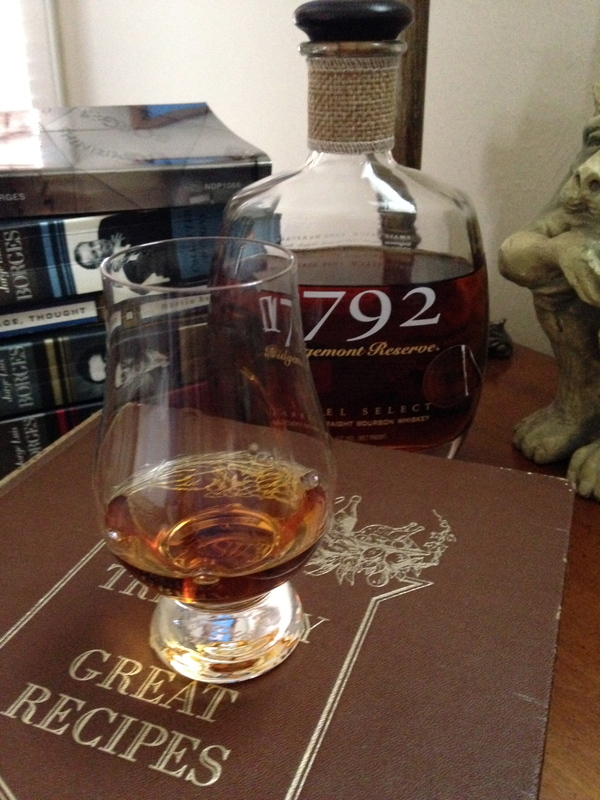 First, how about a glass of 1792 Ridgemont Reserve Bourbon. A wonderful dark amber color with a nose featuring caramel, curried cabbage, oranges and vanilla. Quite a bit of cayenne as well. The taste? Thick on the tongue, then white pepper up front with custard pie, honey and a growing flavor of cherries. The finish releases a sweet and sour blend. Quite amazing at twenty-two dollars. This could just be my daily bourbon, if, of course, I drank bourbon daily. On with the adventure. 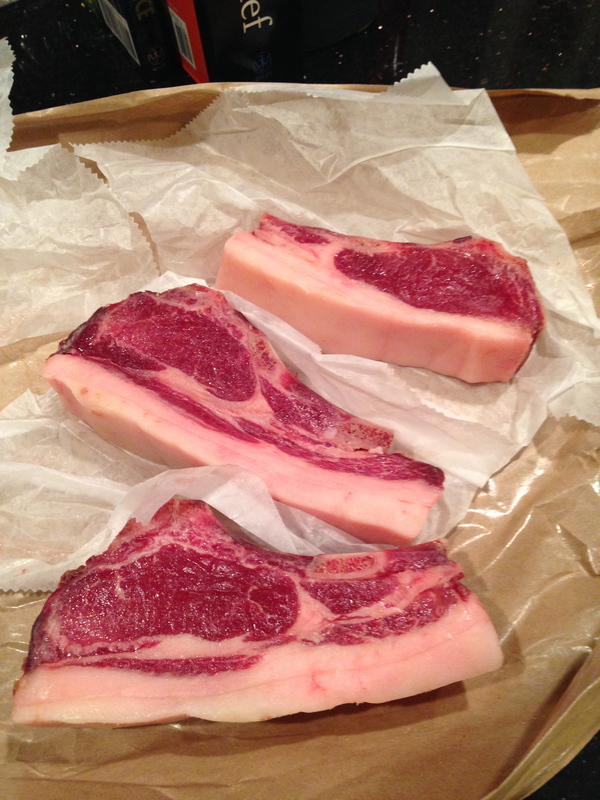 When I walked into Revival Market days ago to purchase three pounds of pork belly, there they were . 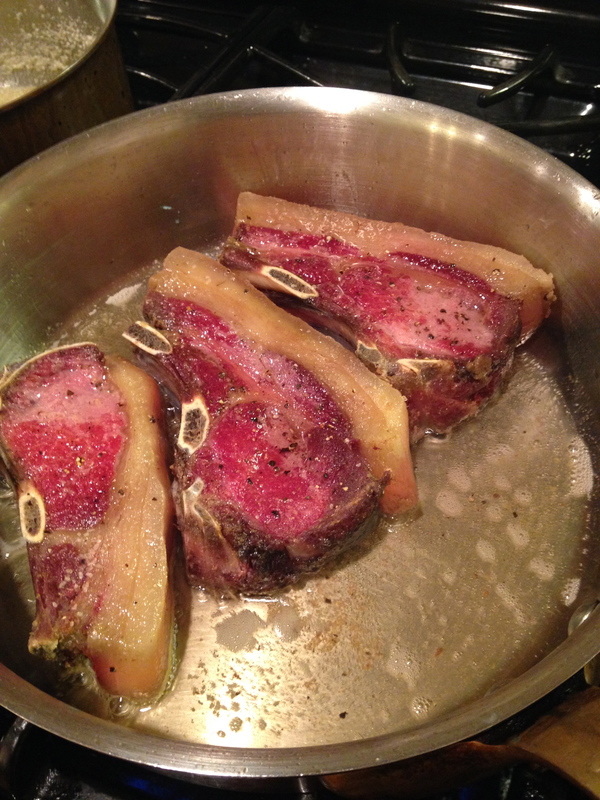 . . wild boar chops. Oh my. 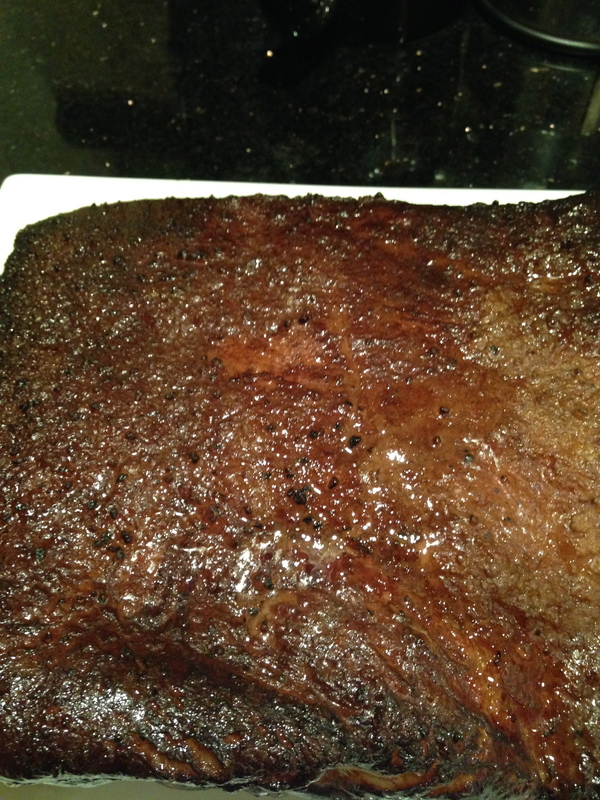 Look at that glistening red meat. Look at that thick, butter-like fat. No question, I was adding this to the menu. Also, we are big fans of Hayao Miyazaki, especially Princess Mononoke, which features a boar demon cursing humankind. How God’s breath reconstitutes our walking up and walking down. Stations of the Cross, also known as the Via Dolorosa, the Way of Sorrow, may bring to mind O Brother, Where Art Thou. Here is the legendary Ralph Stanley singing the classic Man of Constant Sorrow. We carry Christ’s cross to his crucifixion, and moving from holy place to holy place bring to life again that pain, that journey. The landscape of Appalachia becomes holy, becomes a journey as we’re reminded that the visible signifies the invisible. An old idea indeed. Here is Pseudo-Dionysius the Areopagite (5th or 6th century CE) on images of God revealing the hidden. Wright’s “Appalachia” unites again landscape and God, figuring even the creation stories in Genesis–“God’s Breath”–as we also face our mortality beautifully figured in “long divisions.” Ralph Stanly again. Wright carries on the Whitmanian tradition of finding particulars connected, and through them access to the universal. Though the “long division” may figure a counting out of time, in Wright’s work time plays out in a single moment with gathering shadows and patches of light all around. A sense of the clock very close to T.S. Eliot in The Four Quartets. This Southern landscape gathers the world to it as dirt and leaf unable to avoid the haunting of all that has risen and fallen before. Time to return to the wild boar chops. Can’t you smell them? Look at that fat glisten. 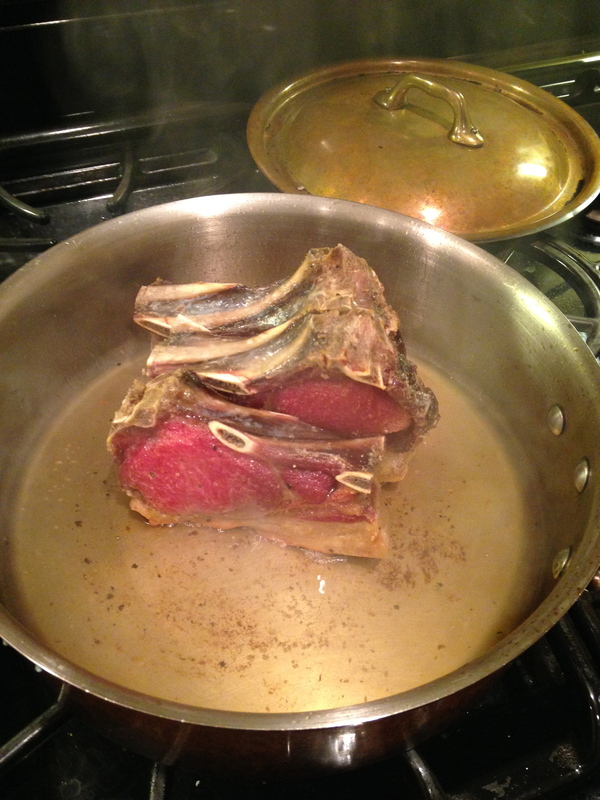 I’ve turned them on each side, and now a sear right on the fat. 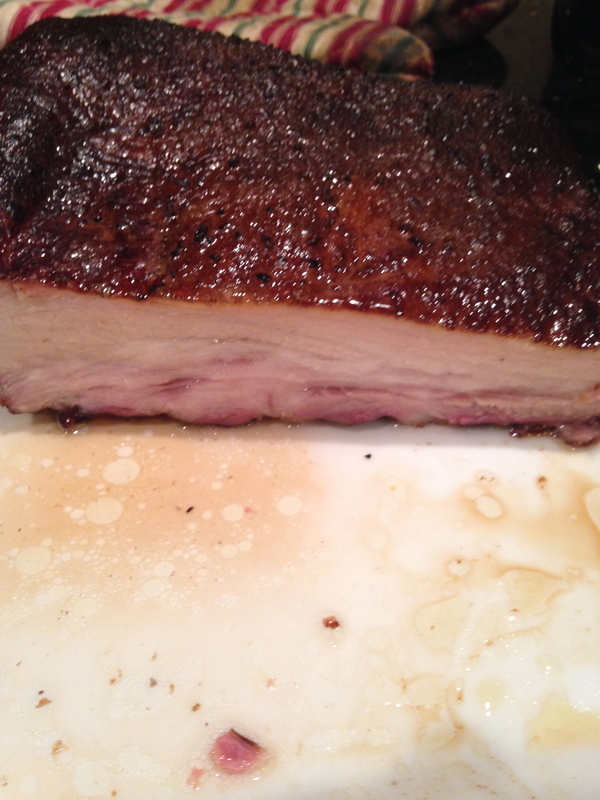 The pork belly has reached its end. The telos of all it was and is to be, the fulfillment of nature and fire. 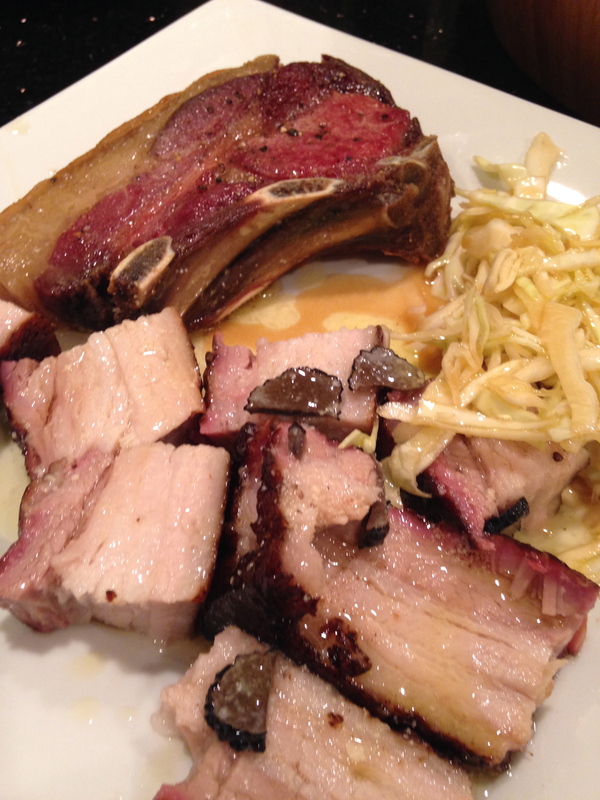 Like the dirt and leaf, the pork testifies to a greater world around it–a Southern terroir. Look at it breathe. Now might be a good time to hear Vincent Price talk about one of his favorite recipes. Well, Demain has nothing to worry about . . . it’s pork belly time. Now for a top view. Time to plate. 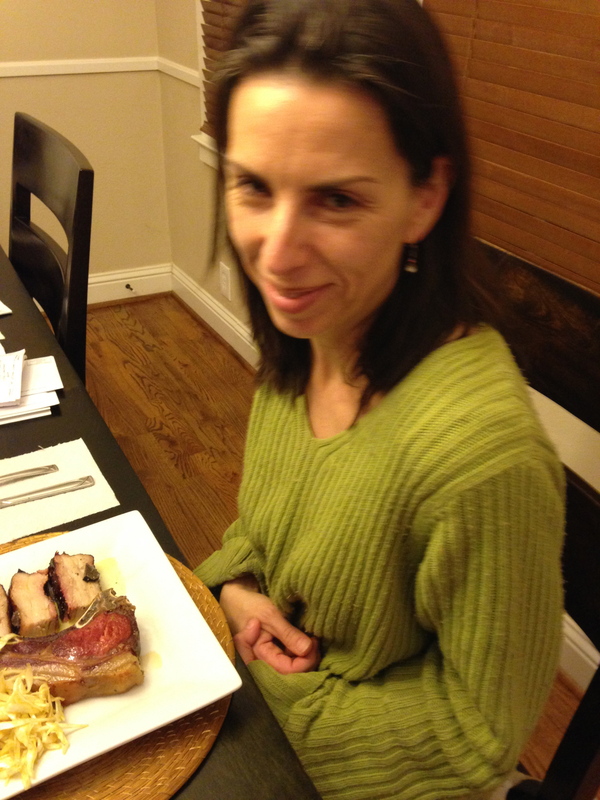 I slice the belly, set the pieces near a wild boar chop, and Gabriela has made a delicious slaw to round out the meal. Time for the birthday boy to eat. 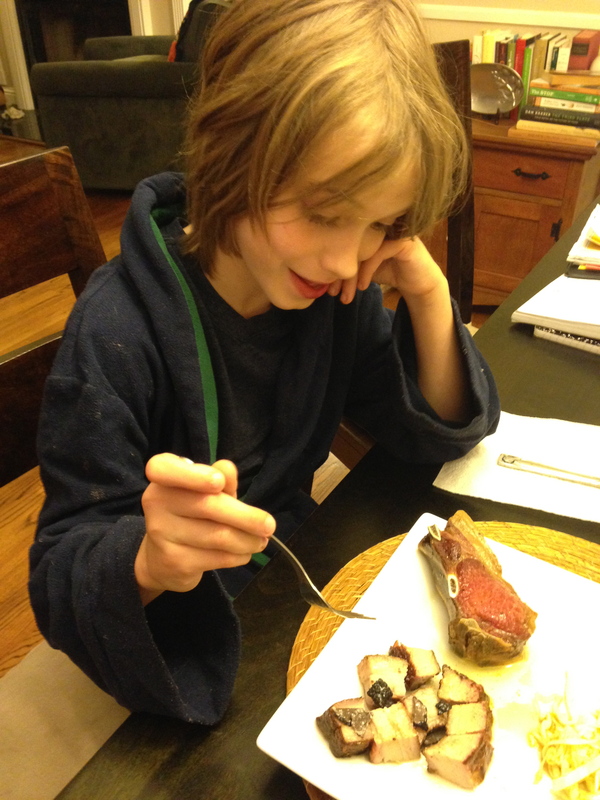 Yes, he always dines in his robe. Time for my wife to dine. 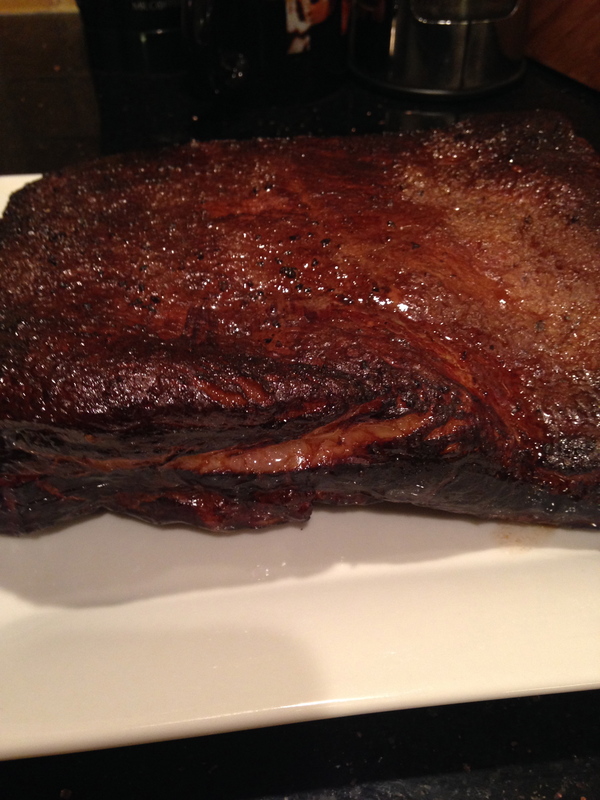 So, it has been quite an adventure smoking pork belly, reading Charles Wright, and listening to much music. I leave you where I began this post with a film by Tim Burton entitled Vincent with narration by Vincent Price. Bon Appétit!